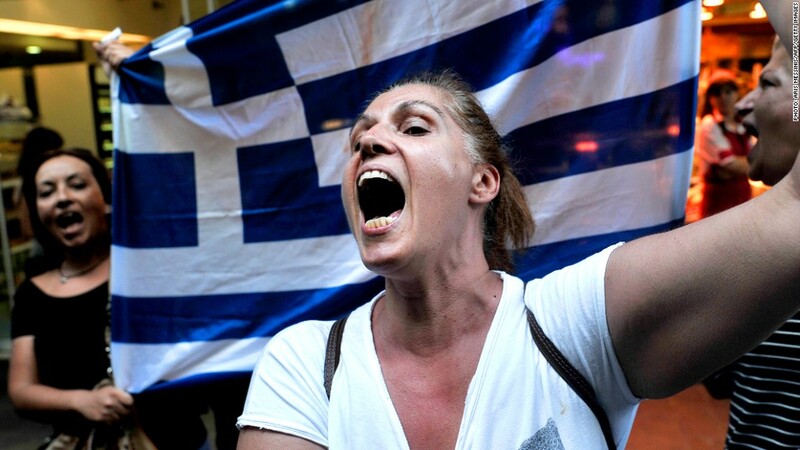 Greeks are angry at the spiraling rate of unemployment driven by deeply unpopular austerity measures. Signs of economic recovery are popping up in Europe. But not in Greece. Stuck in recession for a sixth consecutive year, Greece reported a jobless rate of 27.6% in May, a new record high. The unemployment rate stood at 27% in April. Most worrying is the rate of youth unemployment. Almost 65% of Greeks aged 15-24 are unable to find work. The figures are adjusted to take account of seasonal fluctuations caused, for example, by an upturn in employment in tourism during the summer months. The number of Greeks out of work has increased by nearly 200,000 to 1.38 million over the past 12 months, and by one million over five years. Greece has been kept afloat since 2010 by funds drawn from a €240 billion bailout program financed by the European Union and International Monetary Fund. But the emergency loans have come with tough conditions attached, including savage austerity measures that have contributed to a massive contraction of the economy. Greek GDP has shrunk by about 30% since 2008. Alarmed by the longest recession since the euro was launched and record unemployment, EU leaders have slowed up the pace of their austerity drive in recent months. And there are signs that activity is picking up. An easing of recession in Spain and Italy, combined with stronger data in Germany, suggests the eurozone as a whole may have managed to eke out growth in the three months to June after six consecutive quarters of contraction. The eurozone rate of unemployment may also have peaked. After years of tax increases and spending cuts, Greece has been given the green light to cut sales tax on food and drink in restaurants to 13% from 23%. The tax break -- which will last until the end of 2013 -- is a bid to boost spending and tourism across the country but will cost the government €100 million in lost tax revenue in the short term. The lack of scope for further stimulus measures was reflected in a recent report by the IMF which identified an €11 billion euro funding shortfall over the next two years. That could mean Greece's eurozone partners will be called on to provide more "debt relief," a move that would be deeply unpopular, particularly in Germany.